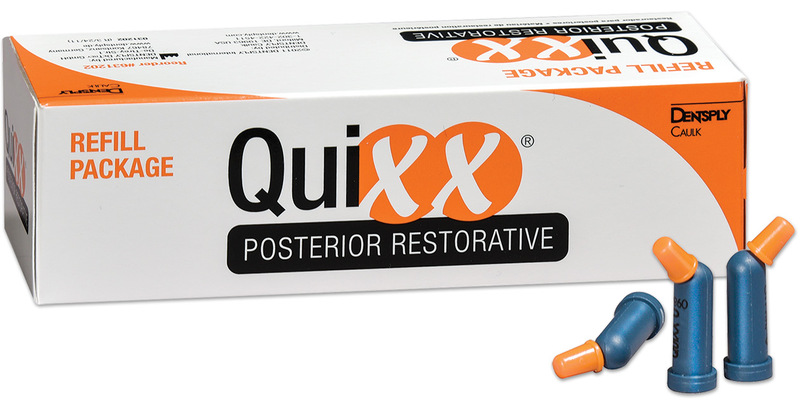 Fast, clinically effective posterior restorative that combines amalgam-like wear resistance with virtually no shrinkage. Outstanding depth of cure allows for placement of 4mm increments with a 10 second cure cycle. Forms a non-sticky, wax like consistency that is sculptable for easy pre-cure anatomy creation. Contains: 20 x 0.28g Compules tips (universal shade). Contains: 40 x 0.28g Compules tips (universal shade), 2 Xeno IV evaluator pkg (each pkg includes 5 unit doses adhesive, 1 holder, 5 applicator tips), 1 dappen dish, technique guide.